I came across this teaser for a documentary by Alexandre Favre called Bolex: The Last Employee and thought the readers of this forum might appreciate it. 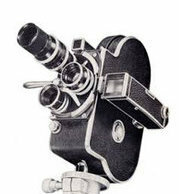 The contemporary footage was shot using a Bolex modified for super 16, and the audio was recorded on a Nagra. The historical footage and commentary is interesting. Particularly the bit about small camera assembly lines being staffed by women, who were presumed to be more agile than men. The level of precision and craftsmanship that went into these machines is pretty inspiring. I'm looking forward to seeing the full length documentary when it's released. Thank you for sharing the teaser! Fascinating, it was built like a Swiss watch. I'd like to see the whole film. Edited July 19, 2018 by Daniel D. Teoli Jr.
Bumping this up to note that Alexandre Favre has a campaign going on now to raise funds to complete the film.